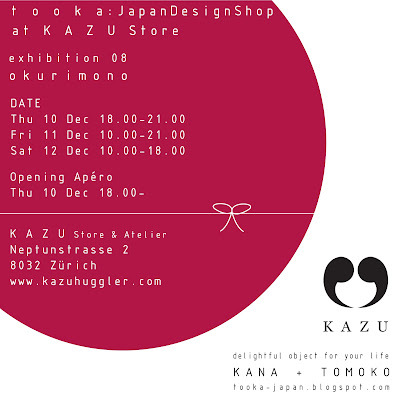 We are happy to announce this year's tooka pop up store at KAZU Store & Atelier! KAZU HUGGLER is one of a new generation of fashion designers making waves in the fashion and art scene today. Please save the date on your calender, and we are looking forward to seeing you all!